Photos of the Presentation Evening are here. Scroll down this page to see the results. The most common words from anglers that fished GAMEX 2018 was “This is the BEST GAMEX ever!” The weather was sensational, and the fishing was red-hot. The social events throughout the week were well attended and started with the Rig and Gig night, where every seat in the clubhouse was taken and people were standing to catch up with friends, learn about certain rigging techniques and then party on with great music. The Exmouth Shire President, Matt Niikkula officially opened the 50th annual Exmouth fishing event. His opening talk was brilliant with a personal touch of an Exmouth born and raised angler who has fished the event many times. 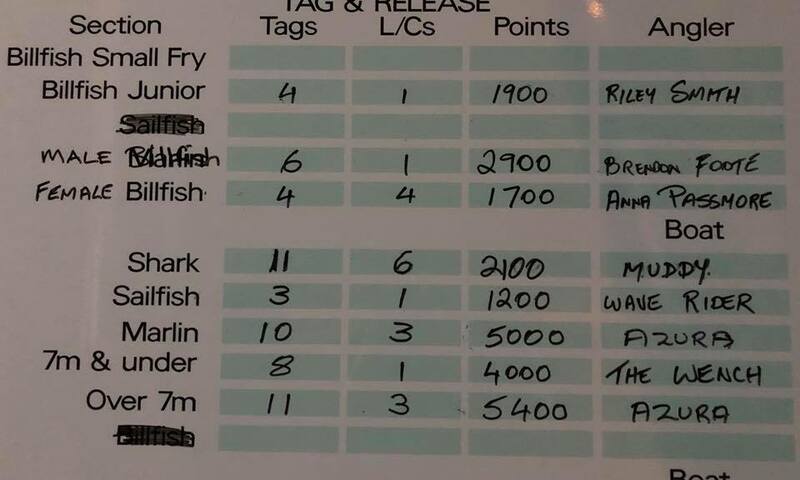 The CEO of Recfishwest, Andrew Rowland also had a very captive crowd while he gave information on the results of the works done last GAMEX with the scientists they arrange for research, including the fact that the 15kg black marlin captured specifically last year was calculated to be 156 days old. The Recfishwest Free Family Fun Day was a great success with over 20 kids attending the fishing clinic. They all fished infront of the clubhouse at the marina catching various species, followed by playing on the fish simulator. The kids had a sausage sizzle, cake and icy pole, followed by some water fun games. It was a sensational day for weather and all the kids took home a prize and some goodies from the day. Day one of GAMEX started with 5 billfish being tagged in the first 30 minutes. It then proceeded to 10 in the first hour, 10 more in the second hour and another 10 in the 3rd hour. By the end of the day there were 171 billfish raised, 123 hooked and 68 tagged, with a smattering of sailfish, a few blue marlin and a stack of black marlin. Some fish were estimated at close to 200kg, while others were as small as 5kg. 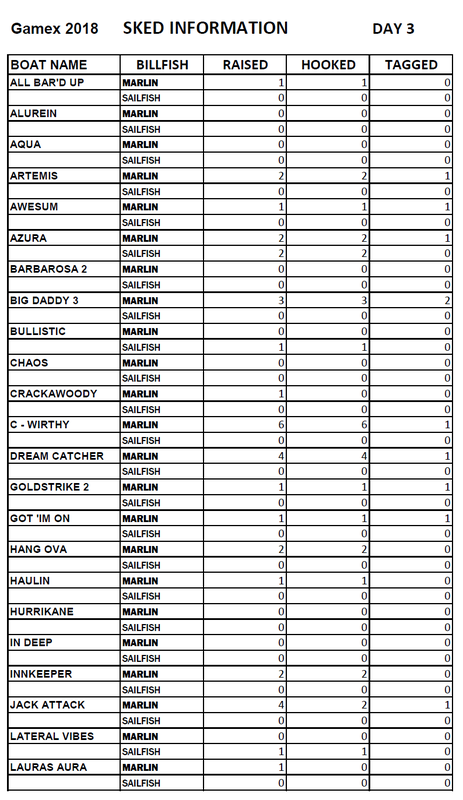 There was a lot of excitement on the radio and there is no doubt that the global fishing fraternity is going to be whispering about the statistics, especially considering that only 36 of the teams were chasing billfish specifically. 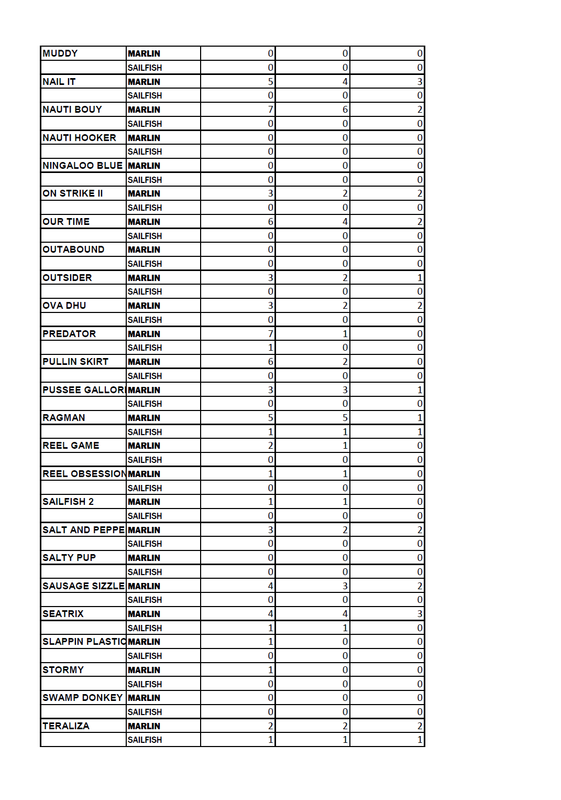 The results of GAMEX were posted each day on the GAMEX fb page, along with sponsor logos. The fish filleting demonstrations were daily during weigh-in times and visitors were encouraged to come and learn how to make the most of their catch and minimise waste. There was plenty of fish fillet samples for anyone to take home from the demonstrations. The dress-up evening mid-week was also a full-house and team Quadrant Energy took out the top prize. The Sponsor Appreciation Function had some amazing local cuisine and complimentary drinks with information and discussions on what happens during the event. Anglers from as young as five competed in the waters of the Exmouth gulf and west side for one of the many sections of the event. There were also daily prizes, hourly prizes, auctions, raffles and giveaways that made up the prize pool of over $150, 000. Outstanding achievements included that of Matti Groth from Germany who took out several of the light line sections of the event. 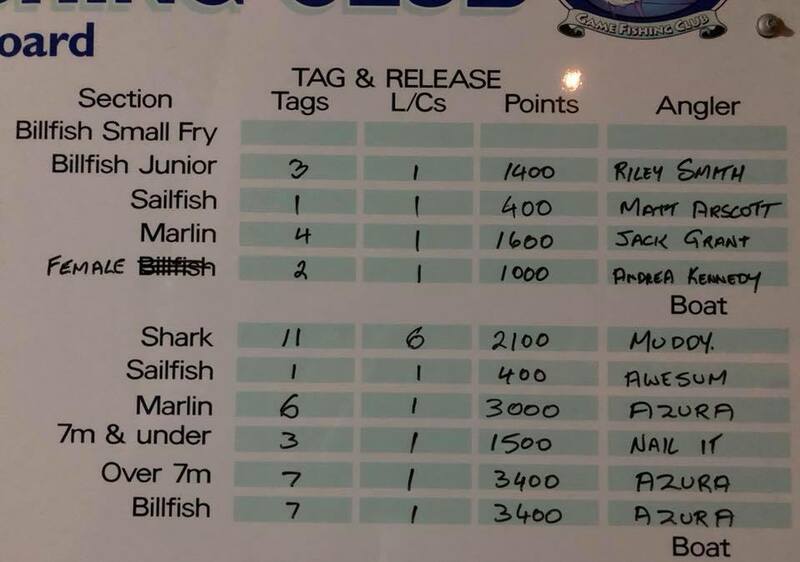 Champion Small-fry angler Harvey Mitchell, aged 5, had the crowd at the presentation night in awe as he collected his trophies with pride for tagging 7 sharks with no assistance on the rod and reel. 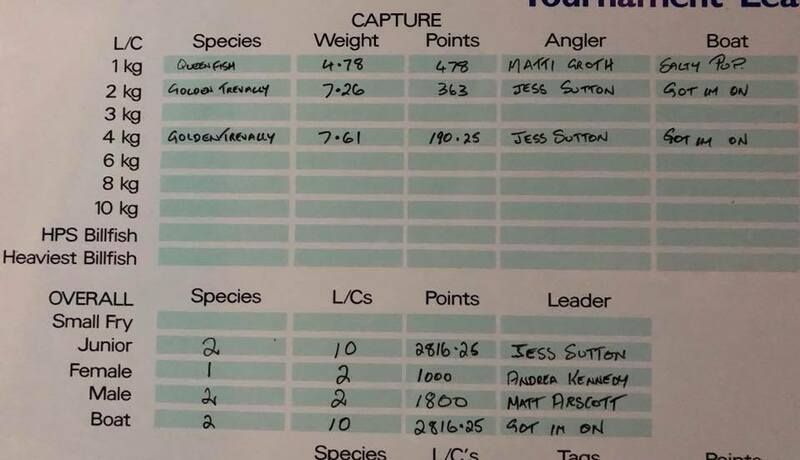 Champion Junior angler Jesse Sutton managed to use every one of the 11 line classes to catch 9 different species and had a total tally of points that was incredible for any angler, particularly a junior female. Jack Grant was pleased to get his Shimano Talica reel with the special plaque of GAMEX 50th Champion Angler T&R billfish, while Kade Ross was also wrapped with his Craig Smith Marine Artwork individually marked Champion Angler. New angler to GAMEX, Anna Passmore is now officially hooked on fishing after taking out Champion Female for the event. You won’t miss her smile that will match her sensational Driftwood jewellery that was won on the night. Female angler from Weipa, Andrea Kennedy was hot on the heels of Jo Riley from Karratha who took out Champion Angler Female T&R Billfish, while Champion Junior Angler T&R Billfish, Riley Smith is going to be hard to beat next year when he is old enough to enter the adult section. Species encountered during the event included blue, black and striped marlin, sailfish, spanish mackerel, dolphinfish, wahoo, yellowfin tuna, barracuda, queenfish, golden trevally, cobia, rainbow runner and many more of the 40+ species on offer in these waters close to launching facilities. Small and large boats competed with male and female anglers of all ages. 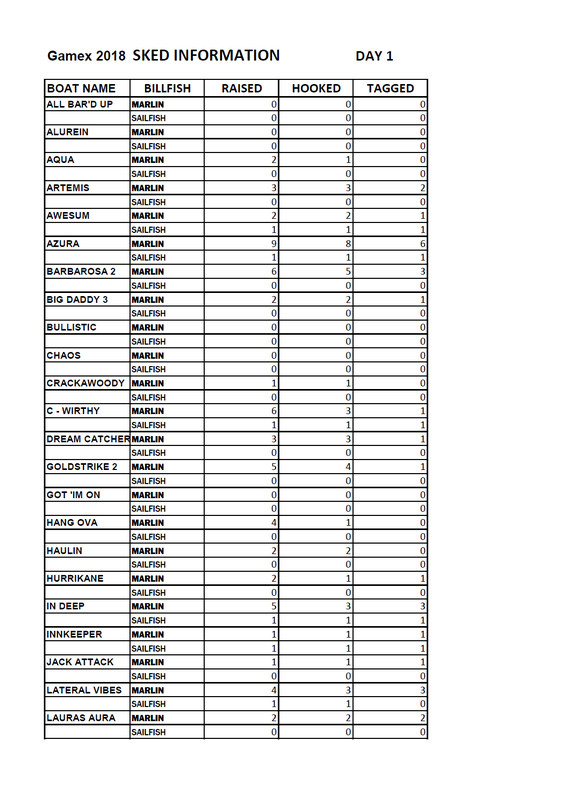 The team sections were hotly contested with 36 boats chasing billfish and 20 targeting species. 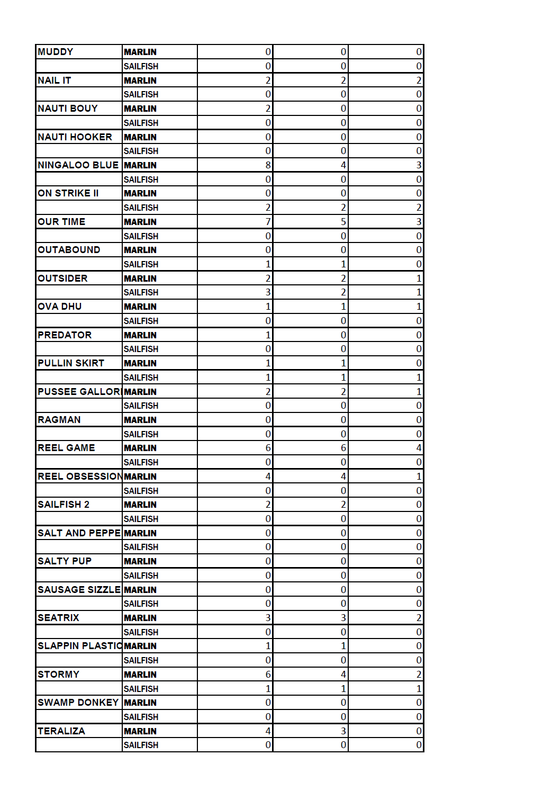 The skeds for GAMEX for billfish were 797-594-307. 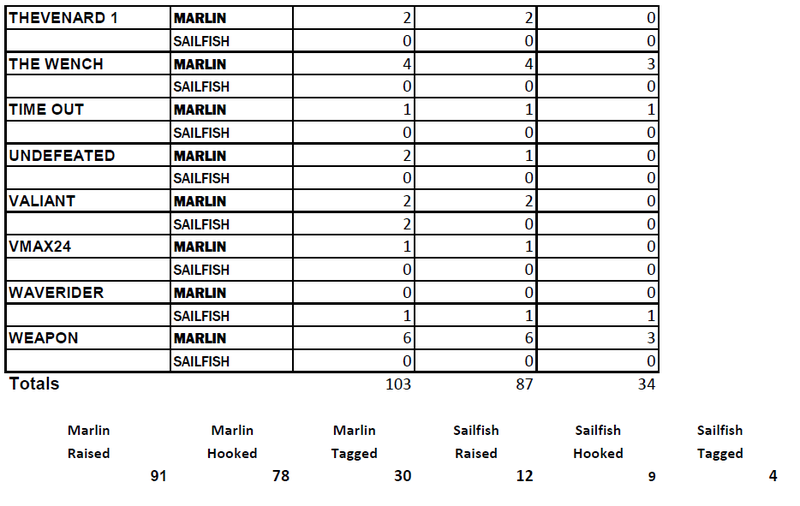 This means 797 billfish were raised by the teams targeting billfish, 597 were hooked and 307 were tagged. 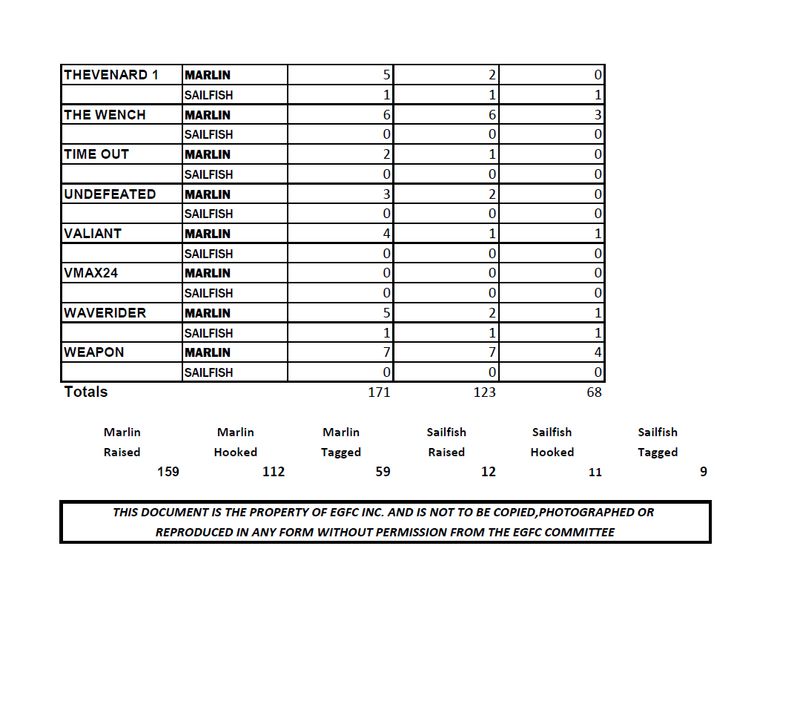 From this there were 231 black marlin, 11 blue marlin, 2 striped marlin and 63 sailfish. Team Azura took out the Champion Boat for Marlin and boats over 7m, while On Strike II won Champion Boat Sailfish. Champion Boat under 7m was won by Karratha team The Wench. The new section of Champion Boat Swordfish this year was vacant, along with the sections for weighed billfish. 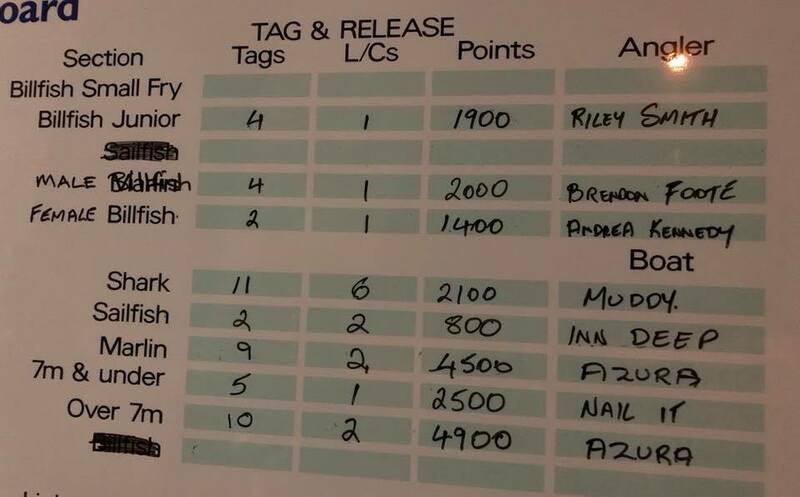 It is good to have a billfish or two weighed during the event for educational purposes, however, all billfish for GAMEX 2018 were tagged. Last year we had a specific request from the scientists to bring in two billfish weighed around 25kg. This was fantastic, as the samples taken from these two fish gave us some very interesting information. The female marlin weighing 16.4kg and measuring 1.5m in length was just 165 days old. This fish grew more than 60mm and gained 700grams per week. The male specimen was 205 days old and weighed 21.4kg with a length of 1.6m. This fish grew 50mm per week and also gained more than 700grams per week. These ages suggest that the fish caught in March were born between the end of August and middle of October in the previous year. Marlin are one of the fastest growing fish in the ocean and can reach speeds of over 100km per hour. Anglers also learnt that black marlin can have an egg count that can exceed 100million per fish. EGFC thank Recfishwest for arranging the scientists to attend each year to assist with research and education that gives us this valuable informative and data. Team Seatrix that had a mixed team from Perth, Exmouth and Karratha took out Champion Boat Overall. 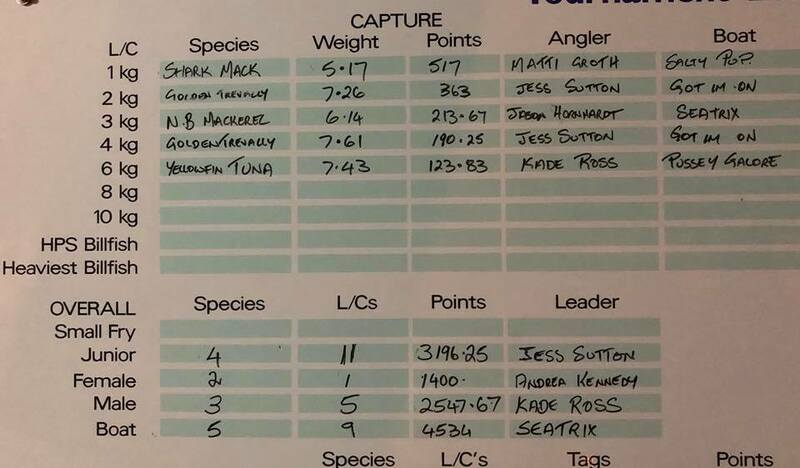 Skipper Scott Turrell had been looking for anglers to join his boat on the EGFC website and FB page and the lucky anglers that fished with him ended up taking home some fantastic prizes. Full results of the event are up on the EGFC website and facebook pages and the dates for 2019 are March 22-30. My suggestion to anglers is to book ahead, because it will be another big event, that may have to be capped. The EGFC thank the anglers, sponsors and volunteers who bring the successful event together. We look forward to having everyone onboard again for the event in 2019. Preparations for the 2019 event have already commenced and the dates are March 22-30. If you have any queries please do not hesitate to contact us at anytime. The State Government of Western Australia is proud to support GAMEX through Tourism WA’s Regional Events Program. 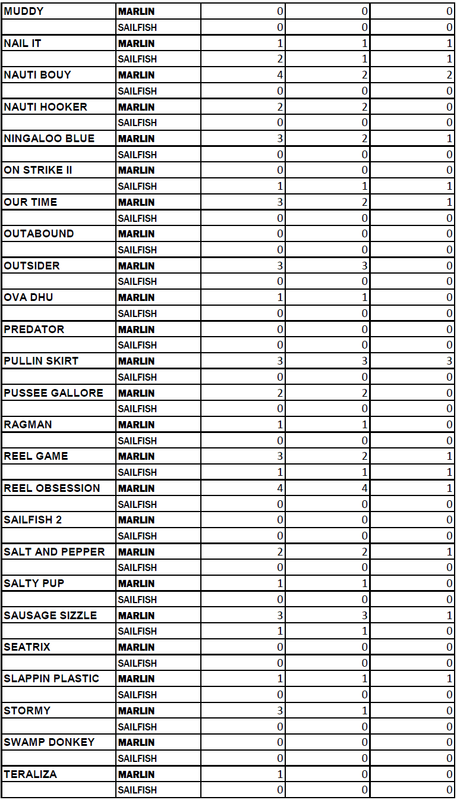 That’s 68 Billfish Tags for the day. Captures were not the priority for most boats as the Billies were on, but that didn’t stop Junior Jesse Sutton capturing 2 pending record fish!!! Good luck to all the boats & Anglers for day 2. 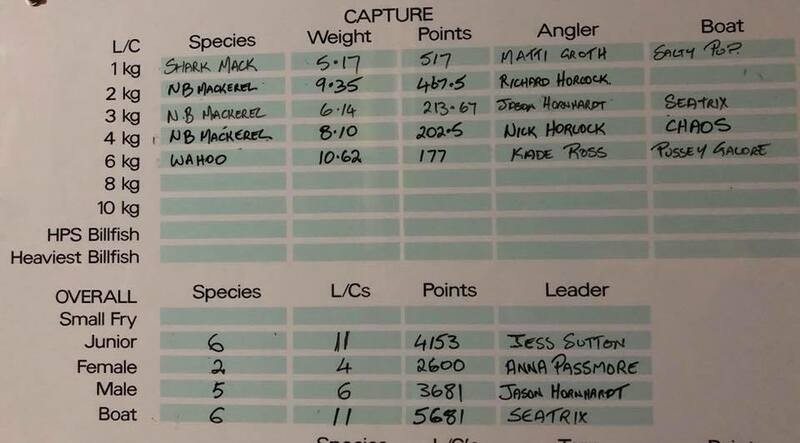 Another great day on the water today with some great stats coming in & another 2 capture pending records!!! It’s sure starting as a Gamex to remember. The weather is holding up its part of the bargain that’s for sure! 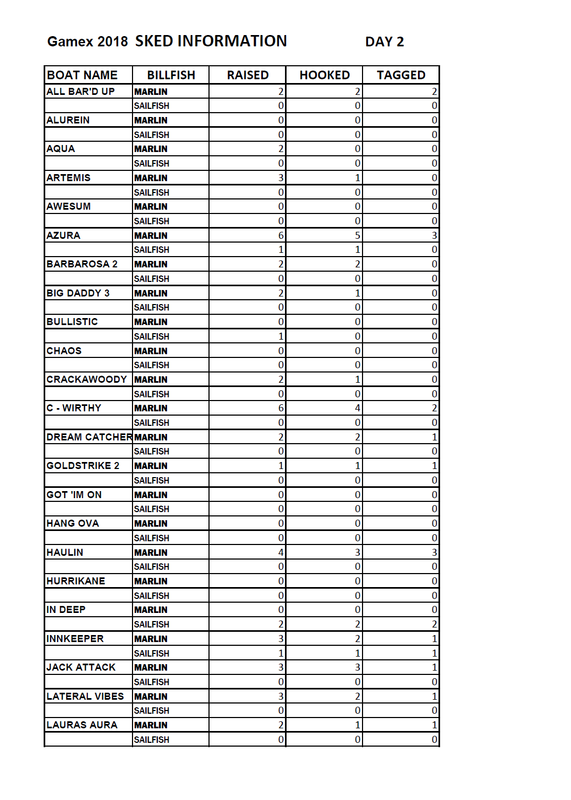 Fish Tags a little down today, but still fantastic numbers. Captures were up today, with another pending record for Junior Jesse Sutton.